QotW: What’s the best stock JNC steering wheel? 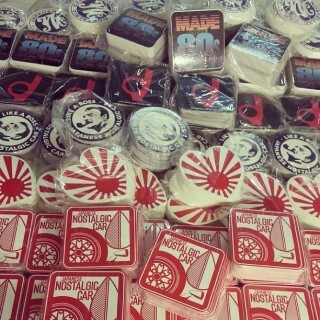 Ben just posted about some beautiful Iwate steering wheels found at the Tokyo Motor Show. This got me to think about stock JNC steering wheels and how strange they can be. The bubble era triggered a rush of asymmetrical, neon-future works of art. Some make the car, fitting the era and your hand in a way that needs no aftermarket replacements. What’s the best stock JNC steering wheel? Last week, we asked about the best tools you keep within reach in your JNC. 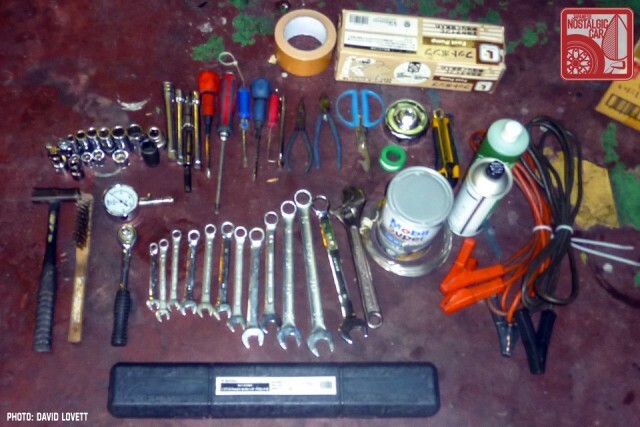 Geoff from Australia kicked off the entries with a nice variety of tools on his list. The multimeter especially is essential on JNC’s that span the new era of EFI and the electrical gremlins ever present. The cricket bat was a nice addition as well when things become stubborn! Fluke electrical meter, socket set, screwdriver set, a hammer, a cricket bat, a torch, a trolley jack, Stanley pliers, vice grips, migraine medication, some clean rags and a workshop manual. Other er, necessities, can’t live inside a car due to Australian summers but you always throw a few in before a big night out. ? 12 Responses to QotW: What’s the best stock JNC steering wheel? Subaru XT. It’s just awesome. wood rim with banjo spoke rods, copy of many earlier sports cars. For fresh-out-the-factory-gates lunacy? The Subaru XT’s asymmetric, slightly handgun-shaped wonder. For purity? The three-spoke Momo fitted as standard to non-special edition Eunos Roadsters and European-market MX-5s (while the US got a nasty four-spoke airbagged lump). For beauty? The wooden rim, slotted spokes and old-school Honda badge of the Honda S600 and S800. The Toyota Soarer wheel at the top of the page is a great example of Japanese tech-oriented luxury cars. I had the next series Soarer which came with an airbag, but just as many buttons and the same asymmetric shape. Nardi wood steering for Eunos Roadster. It is probably the same as that of aftermarket, but if I choose the best steering in JNC, would be this. 1979 Celica GT leather four spoke. I loved the fact that the wheel had four horn buttons. They were mounted in between the spokes and on both sides of the wheel within reach of your finger and thumb tips with your hands on the wheel. Unfortunately, the wheel diameter was too large and would hit my legs when getting in and out of the car so I had to change it, eventually getting a TRD leather steering wheel. The MR-2 handle from the first generation one !! There are certainly a couple of very nice steering wheels in the JNC. 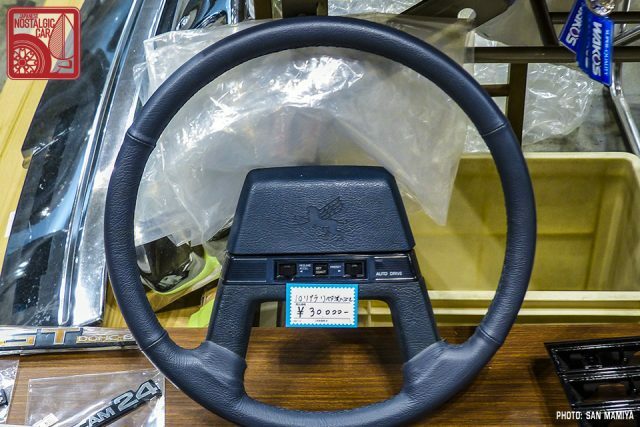 A few have been mentioned before and certainly the button-fetishist will love to see an 80s Nissan Cedric Y30 V3.0 Turbo Brougham VIP steering wheel, but I’m going to nominate the Japanese/European AE86 steering wheel. This steering wheel may look like an simple three spoke steering wheel, but it was much more than that. First of all it offered a steering wheel big enough for cars that came without power steering from the factory. It was big enough to turn the 185/60 R14 tires while standing still, yet not too big for cars that actually came with power steering. But I must admit it is a bit bigger than today’s standards. Second of all it featured a dished steering wheel. Not only does this look great on your car, it also has a function. It means the steering wheel is closer to you and you have that extra leverage on the wheel and a little bit of extra kneeroom if you are over 6 foot tall. Third of all it came painted in gunmetal grey and a big triangular horn button in the middle. This horn button read Toyota in white on the regular AE86 and Twin Cam 16 in orange on the Black Limited AE86. And last but not least: the standard steering wheel featured a grippy and durable rubber/plastic rim, but it also came in an optionally wrapped leather rim (standard on the GT Apex) which made it even better! No question: the simple 3-spoke marked “Twin Cam Turbo” on the Carina TA63. Mazda RX3 Savanna 3-spoke steering wheel. The one with rotor emblem in the horn boss. S13 180/240SX (1989) Awesome wheel! Like the simplicity.